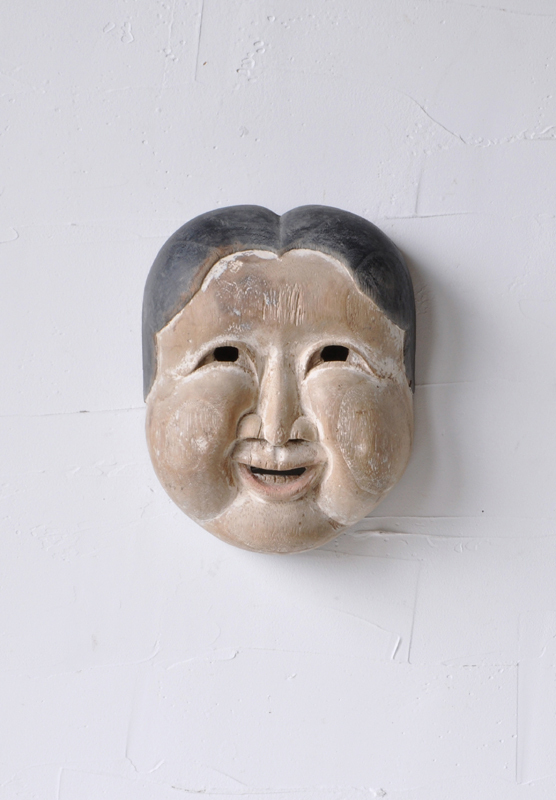 OTAFUKU – Japanese folk wood carving mask (Dealer: hotoke antiques) – ‘Otafuku’ as a homely and cheery woman who brings many happiness, has also a sexual connotation, and is known as a fertility symbol in Shintoism as well. Unique aged local type with marking of ‘Shigetake’ and “Made, 68”, as probably its carver’s name and his age of make, or could be its local place (Sigetake in Kagoshima, Kyushu region). Early 20th century.